"A big thank you to Creo for the fantastic stand we received. We are more than delighted with the end result!. It was produced and delivered in super quick time!" "We recently had the pleasure of working with the Creo team on a display banner for an international conference. We were thankful to have chosen Creo as the sales, designers and printers were great to work with and could not have been more helpful. A really professional, pleasant and talented team, definitely recommended by us here at Qpercom. We appreciate your help and look forward to our next project!" "CREO are our go to supplier for all our exhibition materials. The CREO team is very easy to work with. They are efficient, responsive and turn things around very quickly for us. They have been especially accommodating when we have had tight deadlines. The quality of the products are excellent. We have worked with them for over 3 years and will continue to do so – they have never let us down." "We bought our Nomadic Display C33 stand from Creo in 2012. It’s still going strong and looks fantastic. The Creo team are a pleasure to work with, they designed and produced our stand very quickly and to a very high quality. They are also competitively priced which is important to us as a publically funded organisation. We would definitely buy from them again in the future." "Creo design and produce our exhibition stands for National and International trade shows. The quality and precision of their work has continually been to a very high and professional standard. Creo help to make each show a resounding success." "We went to Creo with a sketchy outline, to say the least, of what we had in mind for 'Kilbaha Gallery & Crafts Studio'. To say that they surpassed our expectations would be an understatement". "We have had the pleasure of working with Creo for many years and been extremely satisfied with the quality of Exhibition/Display equipment and the level of customer service provided on a consistent basis. We would highly recommend Creo for Design and production of wide format printing and display stands." "For our latest conference, we wanted to do something quite creative and designed the stand to look like a traditional Irish pub. Creo were very enthusiastic about the project and produced a really effective stand that was very much admired at the event. I wouldn't hesitate to recommend them." "We received the Nomadic stand this morning and it looks excellent! We wish to thank Creo once again for all their advice and support prior to production, we couldn’t have done it without their expertise". 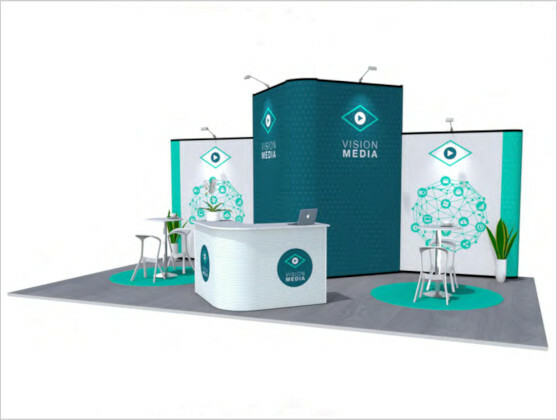 The Nomadic range of Designs allow you to invest in a stand today knowing that as your business and exhibition requirements grow, you can add new solutions to your purchase to scale that stand up and make it even larger in the future. Accommodate new design features that may not even exist today but are key to your exhibition needs tomorrow. For exhibitions and tradeshows with smaller floor space allocated you may use parts of the stand and reconfigure it to suit the space requirements. 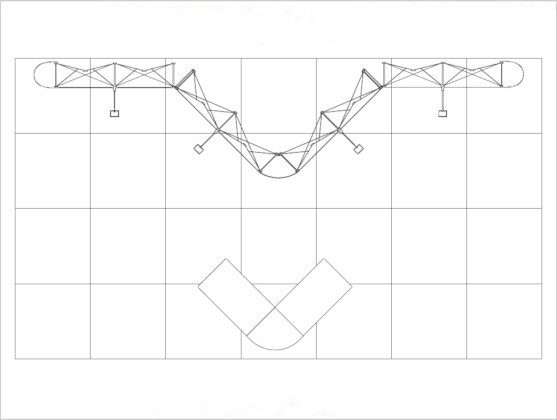 Creo can advise on reconfigurations as and when they arise and provide you with detailed floor plans and suggestions on how to make the most of your stand. 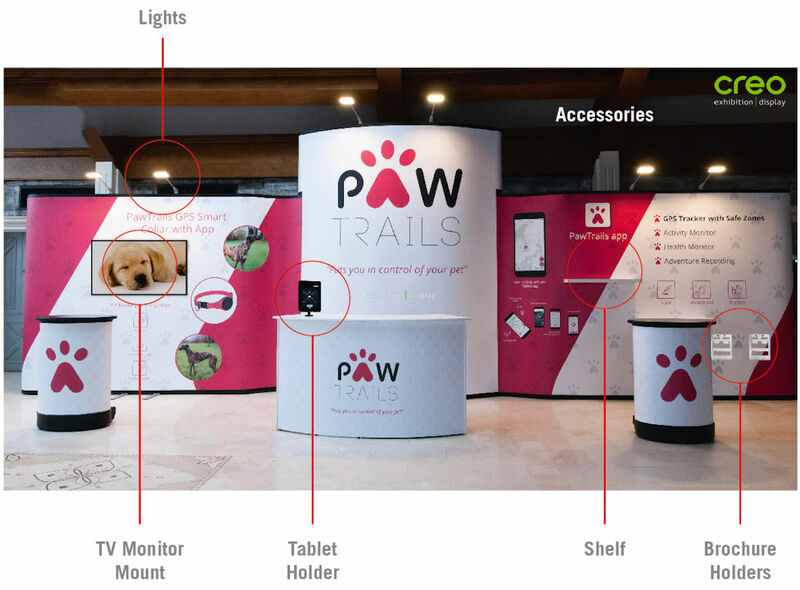 Upgrade your Display Stand by adding accessories and provide an engaging interactive experience that gives you the perfect platform to showcase your brand and stand out from the competition. Nomadic Popup Stands are so well constructed Nomadic guarantee them with the industry's best “No Questions Asked - Lifetime Warranty". Nomadic will repair or replace any frame that fails to function for any reason - Free Of Charge - for a lifetime of ownership by the original retail purchaser. Why Buy a Nomadic Display Stand? Creo are official Irish distributors for Nomadic Display, one of the world's most experienced and best known manufacturing companies in the exhibition industry. Businesses large and small as well as government agencies have entrusted Nomadic Display® with their event marketing programmes for over 35 years. Nomadic is a leading producer of top-of-the-line custom modular and portable display solutions for events and mobile presentations. We don't just do Curved Stands! 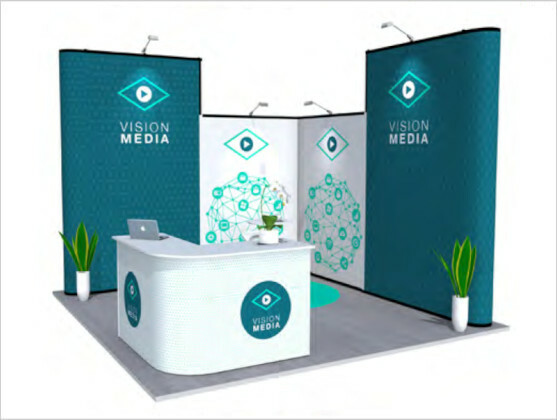 Depending on your exhibition booth space, layout and orientation, a straight pop up stand may be preferential to a curved stand. Just as with curved pop up stands, there are a range of different sizes and combination kits to choose from. Custom size stands can be produced on request. There is a Life Time "No Questions Asked" Warranty on Nomadic Display Stands! Why not give us a call on 1890 866 811 to speak to a Display Consultant to determine the best display stand to suit your particular requirement. 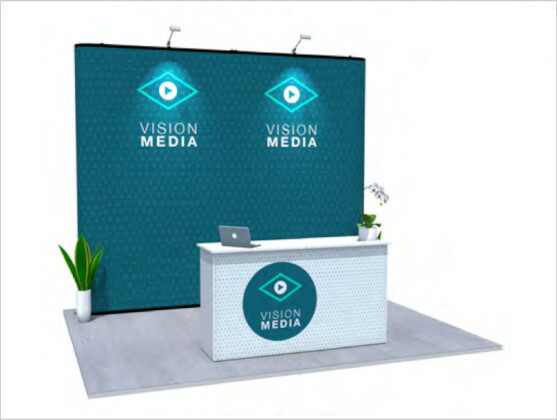 Panel Options: Nomadic Pop Up Stands can be purchased with printed vinyl graphic panels but are also available with fabric panels in a choice of colours. Accessories: A range of add on Pop Up Accessories are also available. Modularity: Nomadic straight display stands (Plus Series) can be easily connected to other straight display stands or to curved stands (Classic Series). Note: Also known as Pop Up Stands, Pull Up Stands, Orbit Stands, Spider Stands, Portable Stands, Display Stands or Exhibition Stands. Have an upcoming exhibition or event but need help to showcase your products and services and make the maximum impact? NOTE: All Prices Quoted on the web site are subject to change due to material and labour cost fluctuations. However any change in price will be confirmed at point of purchase. Creo.ie is committed to maintaining the confidentiality of their customers. We do not share, sell, or otherwise disclose information about our clients to any other party except as required to process and ship purchases. No portion of this website may be reprinted or redistributed without the express written consent of Creo.